I am blessed with the privilege of using VMware cloud on AWS everyday. I still get excited every time I show a feature to a customer because I love that moment of awe they have when they see what we can do. 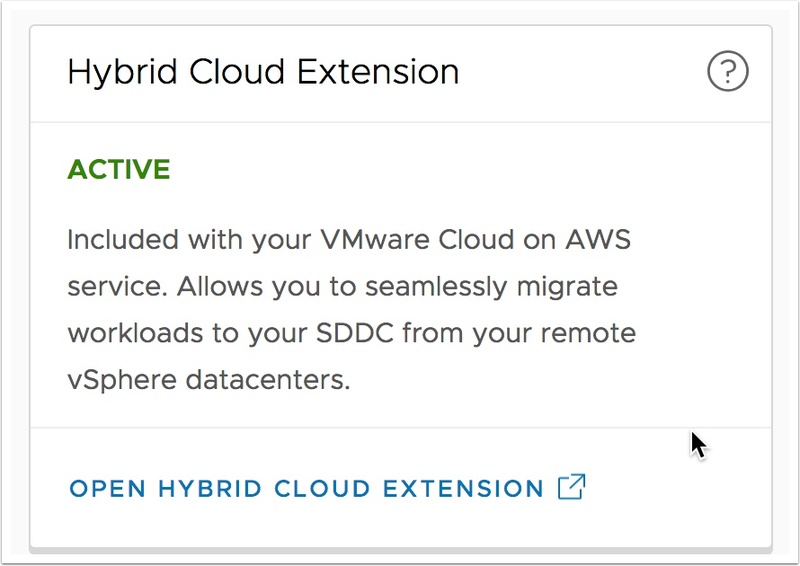 In no particular order these are the top ten features that I think are cool in VMware Cloud on AWS. Do you know how many hours I used to spend to unbox, rack, cable up, and install ESXi hosts? Now one click and it’s done in minutes. Amazing! Stretch existing subnets from your on-prem data center to the cloud allowing you to migrate live VM’s without changing the IP address! Also it creates an optimized tunnel to move VM’s up to 50% faster! Completely software based, no additional hardware required! 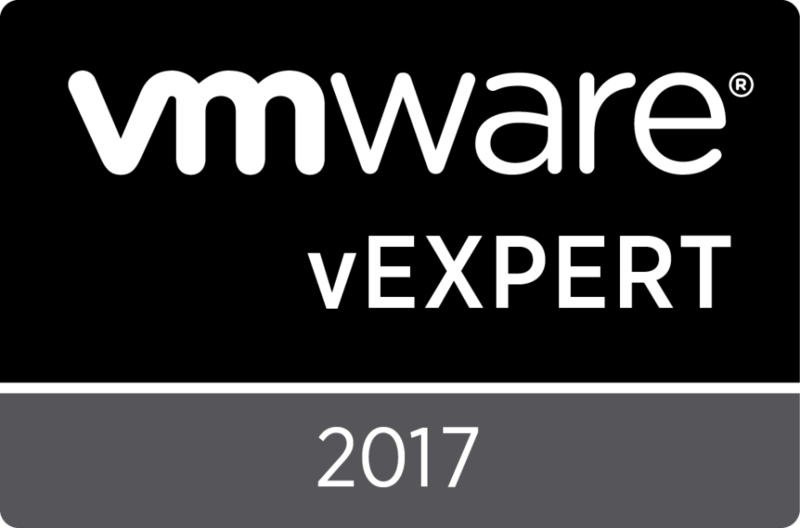 Experience the same performance running your VM’s in the cloud too! 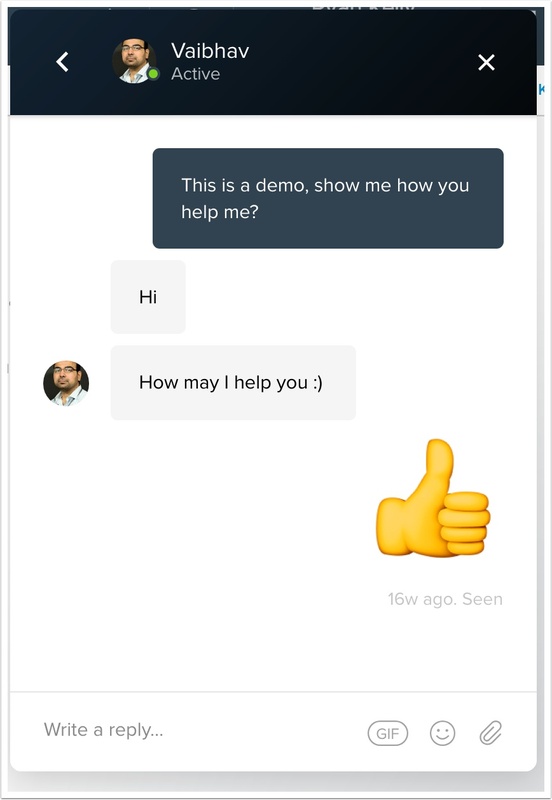 Anytime, even after hours, chat with support and get things resolved quickly! Test API calls right from the UI, download code samples and SDK’s from one place! 6. 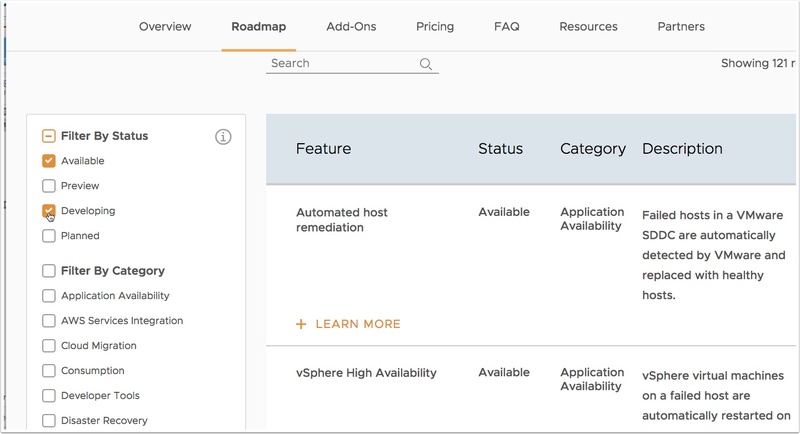 Avoid cross VPC egress charges when you use Amazon Services from your VM’s in VMware cloud on AWS. 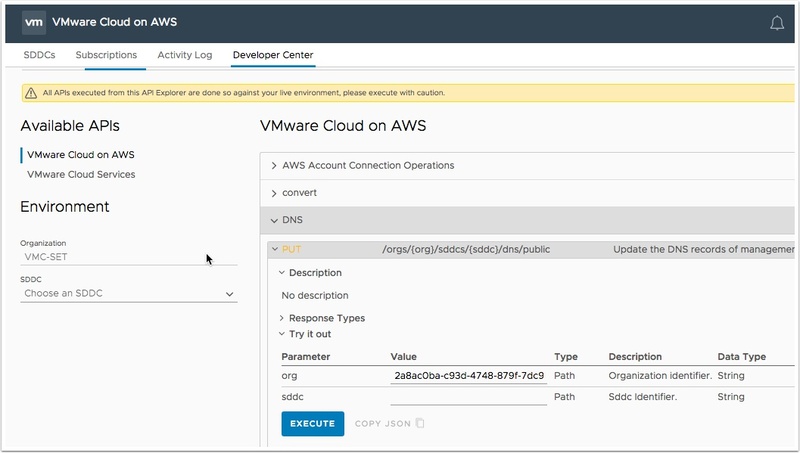 Typically VPC to VPC peering will result in Egress charges, not with VMware Cloud on AWS! 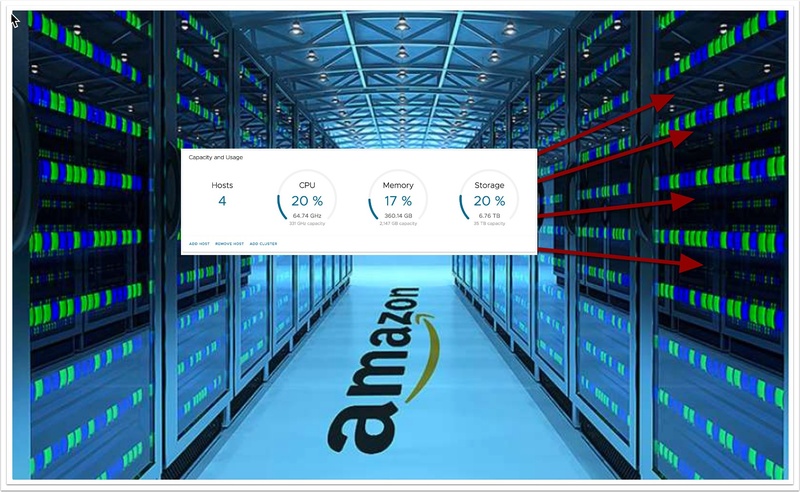 As long as your VMware SDDC and the AWS services you intend to use are in the same Availability zone there is no egress charge between the VPC. Say for example you want to backup a VM to S3. At some point you then need to restore that VM. The egress traffic could be huge, with this service you don’t need to worry about it. 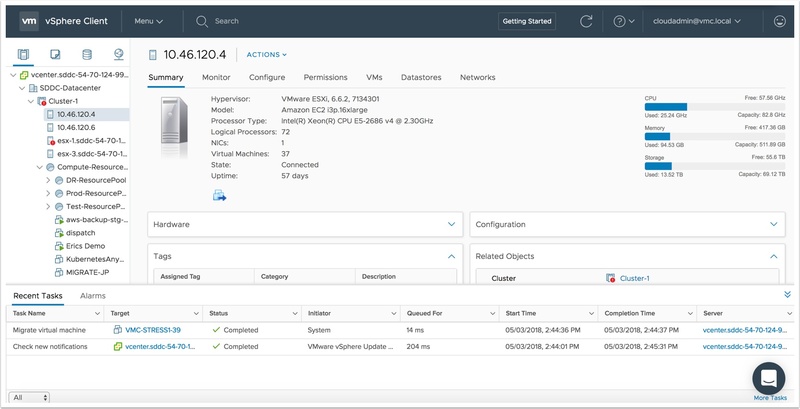 Move any on-prem VM to and from VMware Cloud on AWS! Did you ever want a template for all the firewall rules you needed to setup for a particular product or service? Now you can, the accelerator is also available when you install the Site Recovery Manager Service. Learn about what is available today and what is planned. Filer the criteria to the features that matter most to you. 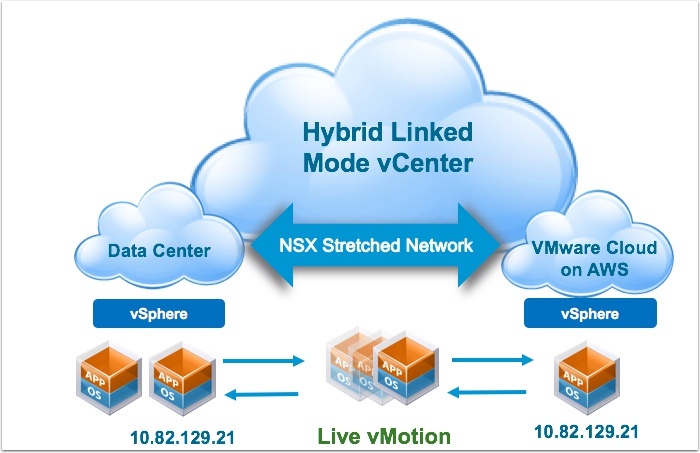 Fully featured HTML 5 vSphere client. Fast, responsive and everything you loved about the old c# (Fat Client) and so much more! This entry was posted in VMware Cloud, VMware Cloud Services and tagged 10, amazon, AWS, cloud, cool, coolest, features, on, services, ten, top, vmware, web by Ryan Kelly. Bookmark the permalink.